The power plant is situated at Kanti district in Muzzafarpur and is a JV between Kanti Bijlee Utpadan Nigam, a subsidiary of NTPC and Bihar State Power Generation Company Ltd.
Piyush Goyal, Minister of Power, Coal & Renewable Energy inaugurated the 110 MW unit II of Muzzafarpur Thermal Power station (Stage I ) of Kanti Bijlee Utpadan Nigam Limited and the first 660 MW unit of NTPC's Barh Super Thermal Power Station. Several dignitaries like Jitam Ram Manjhi (CM, Bihar), Ravi Shankar Prasad (Union Minister for Communications & Information Technology), Radha Mohan Singh (Minister of State (Independent Charge) for Petroleum and Natural Gas), Dharmendra Pradhan (Minister of State for Skill Development & Entrepreneurship (Independent Charge) and Parliamentary Affairs, Rajiv Pratap Rudy and Minister of State for Drinking Water and Sanitation Ram Kripal Yadav were the guests of honour at the above function. 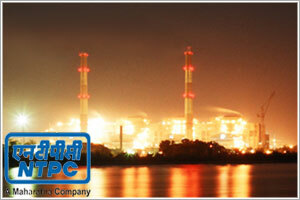 The power plant is situated at Kanti district in Muzzafarpur. Muzzafarpur Thermal Power Station (MTPS) was formed as a JV between Kanti Bijlee Utpadan Nigam, a subsidiary of NTPC ( 65%) and Bihar State Power Generation Company Ltd (35%). MTPS, having two units of 110 MW each, was under BSEB, until poor functioning led to its near shut down. Therefore, JV was forged between BSEB and NTPC. At present, the power plant has two units of 195 MW each capacity under construction. Bihar will receive 484MW from the project (220 MW from stage-I and 264 MW from stage II).